47 – You can’t pray, “My Father,” If He isn’t your Father through your acceptance of Christ as your Savior. 48 – Becoming God’s children gives us direct access to God by the Holy Spirit. 49 – God expects the reverence that derives from His holiness; hallow His name. 50 – Jesus’ kingdom and righteous rule will ultimately be established on earth. 51 – It is liberating to pray priorities and allow God freedom to do what He wants. 52 – We are all totally dependent upon the Lord for the daily supply of our needs. 53 – If you have what you need an you have God, you have everything. 54 – Every day, we are to deal with the issue of forgiveness in our praying. 55 – Because God has forgiven us, we are free to forgive others. 56 – God will allow us to be tested in order to reveal our heart. 57 – The prayer not to bring us tests becomes a confession of our own weakness. 58 – Danger is constant and always around us; ask the Deliverer for deliverance. 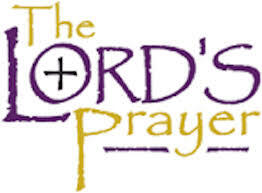 59 – He is a delivering God who delights to hear His children pray for deliverance. 60 – Our praise doxology recognizes God’s sovereignty, power, majesty, eternity. 61 – God is both the God of glory and the God who walks through your life to help. 62 – People who know God are to be praying and presenting their requests. 63 – Christ gave us three imperatives in prayer: ask, seek, knock! 64 – Jesus gave us a promise to certainty: He will hear and respond. 65 – We sometimes forget that God wants to answer our prayers. 66 – God wants to teach us to wait on Him through persistent praying.